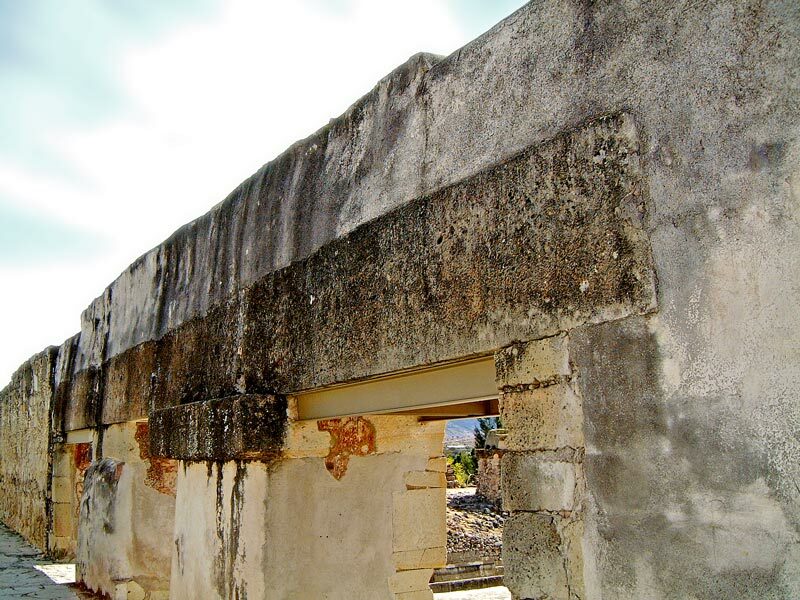 This picture is a great example of the massive monolithic lintels that were used to support the doorways at Mitla. Although it isn’t entirely clear, a single solid stone block spans all three doorways here. This would be incredibly hard to cut and transport, let alone lift into place, which says a lot about the building technologies used by the Zapotec at Mitla.